Recent report has it that EFCC have frozen 7 peoples bank accounts going by the new policy of making fat bank accounts pay their taxes. 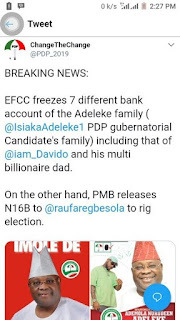 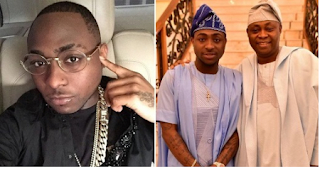 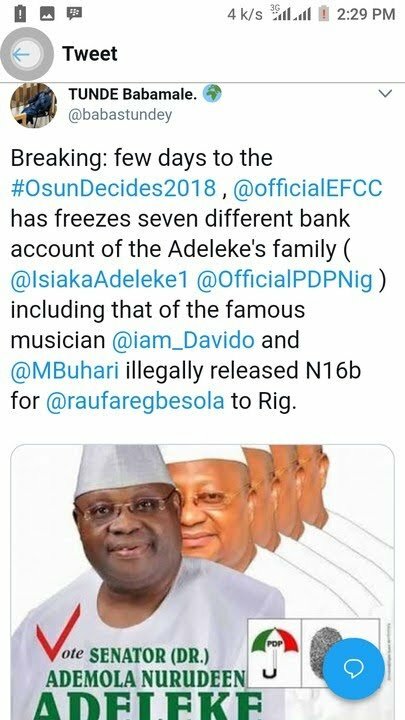 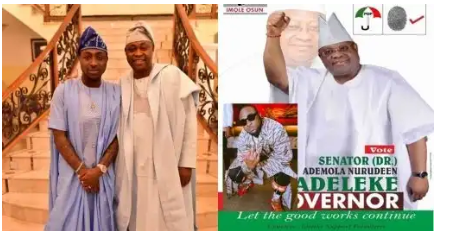 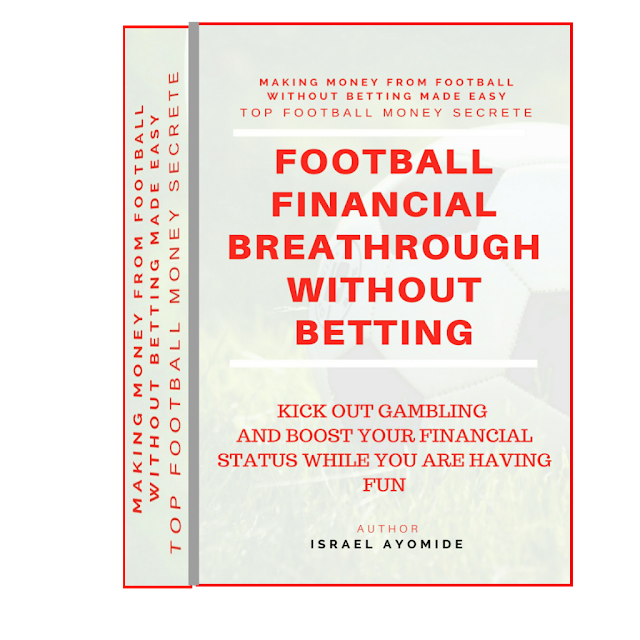 Among those accounts frozen includes members of the Popular Adeleke's family, Davido and his father Osun state governorship aspirant candidate. The act has brought about a lot of controversial thoughts about what the government is becoming.